Memory foam is made using polyurethane and a range of other chemicals, with the intention to improve the viscosity and density of the material. 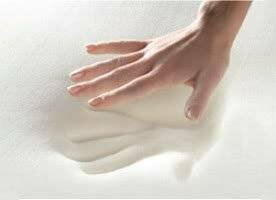 It is commonly used when making mattresses or the best memory foam mattress toppers due to its ability to mold to the user’s body shape. It does this due to the fact that the foam softens when it encounters body heat, creating a more comfortable sleeping situation in the process. Memory Foam Queen Size Topper 4.1 / 5 $$$ More details! 4-Inch Memory Foam Mattress Topper 4.6 / 5 $$$ More details! Lucid® by Linenspa Foam Mattress Topper 4.2 / 5 $$ More details! 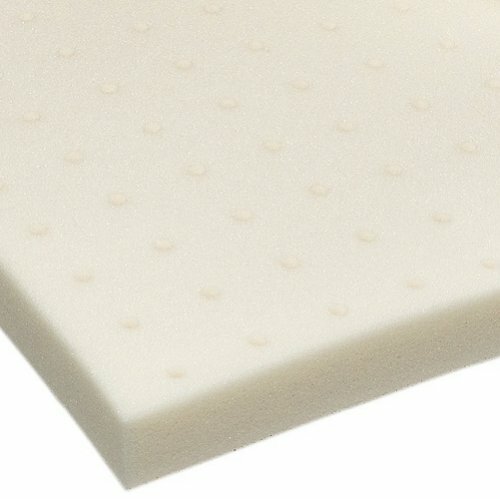 Lucid® 3 Inch Foam Mattress Topper 4.4 / 5 $$$ More details! Sleep Joy Ventilated Foam Mattress Topper 4.4 / 5 $$ More details! Cloud9 Visco Elastic Mattress Topper 4.1 / 5 $$ More details! 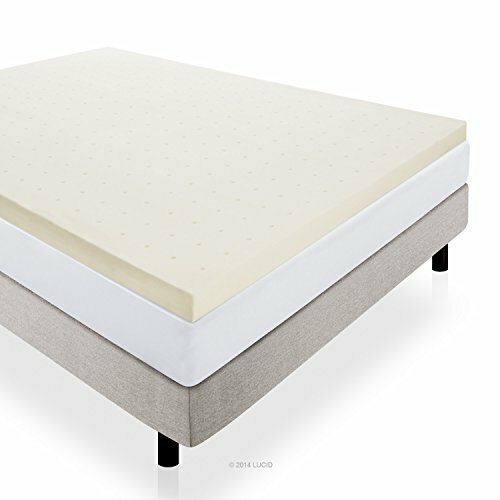 Sleep Innovations Foam Mattress Topper 4.6 / 5 $$ More details! Memory foam was actually developed under contract by NASA’s Ames Research Center in 1966, with the aim to improve the safety of aircraft cushions. Two scientists named Chiharu Kubokawa and Charles A. Yost were important contributors to the project, with Yost eventually going on to form Dynamic Systems Inc. alongside NASA. This move allowed the material to become commercially available and it was released to the public domain in the 1980s, allowing other manufacturers to make use of it in a various ways, including in the creation of memory foam mattress toppers. 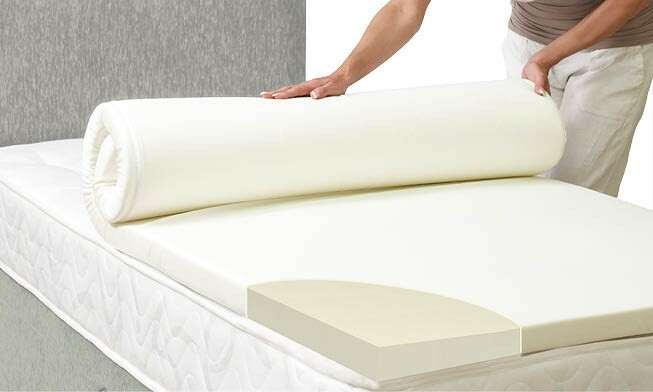 One of the many advantages of a memory foam mattress topper is its ability to soften existing mattresses, making them a cost-effective purchase for those who do not want to purchase an entirely new mattress because the one that they are using is not comfortable. By simply purchasing one of these overlays, a customer can save hundreds of dollars while still making use of the best properties that memory foam can offer. When looking for the best memory foam mattress topper, you will also need to take durability into account. Luckily, in the most cases you will note that the majority of overlays can last for a number of years, with many now being built using technology that allows for faster recovery of the topper’s original shape. Now that you have a better idea of the benefits of memory foam and why you may consider purchasing a topper to complement your existing mattress, let’s take a look at some of the best examples that are currently available for purchase. Memory Foam Solutions make toppers in a variety of different sizes, so you aren’t simply limited to queen size if you have a different type of bed. The company prides itself on taking its environmental responsibilities seriously, so it manufactures its products to exceed PURGreen certification standards. This makes them an excellent choice for the environmentally-conscious. Furthermore, their products are free from any harmful chemicals, so you can feel safe in the knowledge that you are not sacrificing your health in order to enjoy a comfortable night’s sleep. Makes any mattress more comfortable, particular in areas where the mattress sags or has become less supportive. Made using environmentally friendly processes. The topper is 3 inches thick, with a density of 4 pounds. Reduces the effect of pressure points that would cause you to toss and turn. Compressed and vacuum sealed for shipping. The mattress topper has been praised for its effectiveness, particularly for people who tend to sleep on their back. Furthermore, many customers found that it increased comfort levels when used on a hard mattress and appreciated the fact that no harmful chemicals are used, which decreases any related risk to those who suffer from allergies. While comfort is rarely an issue, some reviewers found that the mattress topper began to deteriorate after fairly minimal use, with some claiming that theirs began to develop cracks in less than six months. A few customers also reported that their topper arrived in poor condition though the company does offer a warranty that can be redeemed in these cases. Comfort is a big factor when looking for the best memory foam mattress topper, which is something that this example offers in spades. At this time, it has a 4.1 out of 5 rating from a few thousand reviews, but be aware that some people believe that overall durability may be an issue. Best Price Mattresses, as the name suggests, market themselves as a company that is able to offer high quality solutions at a lower price than their competition. While some may be wary of this and may believe that the cost indicates a poor product, the company is also confident enough to offer a long warranty, which suggests that they have created something durable at the very least. Like many others, it also aims to relieve pressure points, allowing the user to enjoy a more comfortable night’s sleep. Furthermore, the mattress topper will mold to the user’s body shape extremely quickly, despite some firmness when the overlay is first used. Comes with a solid, 5 year warranty that protects against damaging. Its responsive action suspension is advertised as being capable of isolating motion, allowing for more comfortable sleep. Come with a polyester mesh cover for protection when storing. Available for queen sized beds. The topper is four inches thick, offering plenty of protection from firmer mattresses. A lot of customers have praised this mattress topper due to the fact that it is a high quality product that is sold at a much lower price than much of the competition. It was praised for being exceptionally comfortable while also being rather durable in the bargain. Though the company makes it clear that the topper is made using 1.5 inches of memory foam and 2.5 inches of regular foam, some customers believed that they had been misled and had purchased a topper that did not deliver on what it advertised. The feedback indicates that this is the best memory foam mattress topper for people who are shopping on a budget but still want a high quality product that will offer exceptional levels of comfort. It currently has a 4.5 out of 5 rating from a few hundred reviews, but be aware that it is not made solely using memory foam. Much like Best Price Mattresses, Lucid® aim to create toppers that are affordable for the average person, while still offering a high quality of sleep in the bargain. This 2 inch topper is a little thinner than many of the others on this list, but it is also made entirely using memory foam, rather than being a composite between memory and regular foam. Lucid® have also designed the topper to be as durable as possible, particularly given that it is a little thinner than some others, and offer a solid guarantee on the product that can be exercised if it is damaged during the course of normal use. The mattress is made using memory foam only and is 2 inches thick. Lucid® offer a 3 year guarantee on the product. The topper is specially ventilated to improve air flow and allow for better quality sleep. Recovers quickly after use thanks to special open cell technology. Specially designed so that sheets fit comfortably over both the topper and mattress. Though some reviewers carried reservations about how thin the mattress topper is compared to some others, these were quickly dispelled and many have commented on how comfortable it is. It has also been praised for the ventilation, which allows for more comfortable sleeping temperatures. Some reviewers took issue with the smell of the mattress topper, claiming that it is stronger than it needs to be and distracts the user from sleeping. A few others have also criticized the ventilation system, stating that it is not as effective as claimed in the marketing materials. This memory foam mattress topper currently carries a 4.2 out of 5 rating from hundreds of reviews and feedback has generally been positive. Though comfort levels have been praised, as has the price, you should be aware that many users have reported an odor that can be overpowering for people who have a sensitivity to smell. 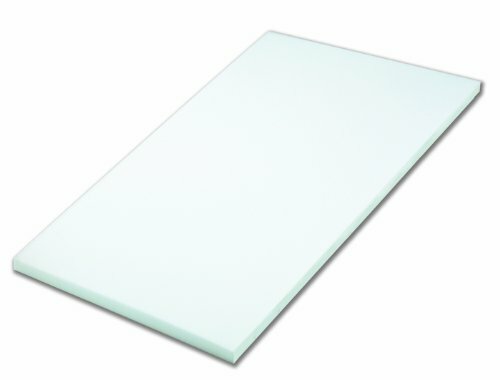 Lucid® are back again with another topper that offers a little more thickness than the previous example on this list. Again, the topper carries over all of the same qualities, including being made entirely of memory foam in an effort to provide as comfortable a sleeping situation as possible. While this particular topper is available for queen sized beds, Lucid® do make a range for other sizes as well, most of which come with the extensive guarantee that this topper also ships with. Furthermore, the product is made using the open cell technology that Lucid® claims offers superior ventilation and excellent durability. Comes with a 3 year guarantee to protect against damages. Made using open cell technology for cooler sleeping temperatures. 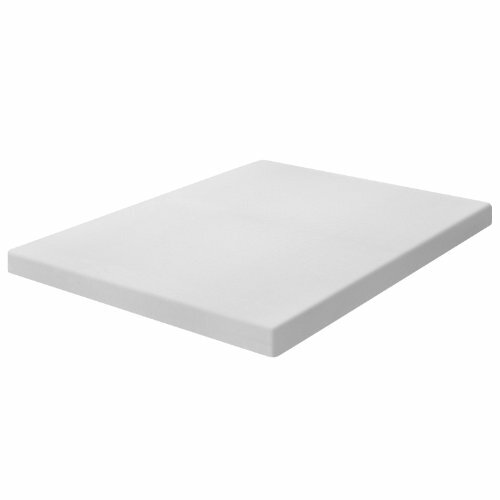 This topper is 3 inches thick, so is perfect for placing over firm or old mattresses. The formula used by the company is advertised as being resilient to allergens and dust mites. Made using memory foam only, rather than as a composite product. One reviewer purchased the mattress topper despite the lack of other reviews available at the time of purchase and was quick to praise it for its comfort levels and construction quality. Others believe that the topper is a bargain and have claimed that they would have expected to pay much more for an overlay of this quality. Some users have claimed that the anti-allergen advertising is not accurate, with one user, in particular, talking about how they suffered an outbreak of hives when using this topper. Others have claimed that the topper is actually too soft, making the sleeping experience uncomfortable as a result. Lucid® have created a real contender in the search for the best memory foam mattress topper, particularly if you are shopping on a budget. It doesn’t appear to have as many issues with odor as the previous Lucid® product on the list and currently boasts a 4.4 out of 5 rating from several hundred reviews. Sleep Joy’s purpose as a company should be clear from their name, as they aim to create products that allow users to sleep as comfortable as possible. Their ViscO2 topper is advertised as being well-ventilated, which allows for cooler sleeping temperatures, in addition to offering spectacular levels of comfort for such a thin overlay. Furthermore, the product is also odor-neutral, which is great news for those who are put off from using memory foam products due to reports that claim they have a distracting smell. 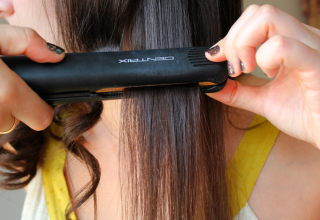 This also eliminates the need to air it out upon receipt, allowing you to use it straight away. The topper is 2 inches thick and made entirely using memory foam. Designed with ventilation in mind, allowing for a cooler experience. Offers pressure relief that stops the user from tossing and turning in their sleep. Plant-based ingredients are used to minimize the impact on the environment. Advertised as being odor-neutral, which is perfect for those who are sensitive to smell. The topper has been praised by many people who have noticed deterioration in their mattress, with reviewers noting that it does an excellent job at covering pressure points and allowing for a better night’s sleep. Others noted its durability, with one updated review claiming that their topper was still going strong after 3 years of use. Some customers have claimed that they did not receive the topper as it is described on the product page, with a few pointing out discrepancies between the shipping weight advertised and the actual weight upon receipt. This seems to be a fairly rare issue, though. The lack of odor and the quality of this product mark it out as being one of the best memory foam mattress toppers. While it currently has a 4.4 out of 5 rating from more than 1,700 reviews, it is worth noting the issues that some people have had in getting the product that they believed they were purchasing from Sleep Joy. You may have heard somebody exclaim that they are on cloud 9 after receiving good news. This is the feeling that Cloud9 aims to offer to everybody who makes use of their memory foam mattress toppers, creating a sleeping experience that is so comfortable that customers won’t know how they managed to enjoy their rest without it. Hyperbole aside, the topper is made using a special formula that is noted both for its comfort and its extreme longevity. Cloud9 are so confident in the product that they offer a 20 year warranty, which is far beyond that offered by the majority of the competition. Enormous 20 year warranty demonstrates the company’s confidence in the product. Made using special Cloud9 technology to be as comfortable as possible. Does not contain any toxic ingredients. Reduces back pain and increases levels of circulation when you sleep. Odors will dissipate if the mattress is aired out properly before use. Many are quick to point out the 20 year guarantee as being a positive point, but when it comes to actual use this topper also receives plenty of praise. One user even went so far as to claim that they had never enjoyed a night’s sleep that was as comfortable as the one this mattress allowed. Some reviewers have claimed that, though the topper is comfortable, it also makes them extremely warm during the course of the night. Others have stated that the foam does not recover its original shape after extended use, making it less comfortable in the long run. Cloud9 prides themselves on the level of comfort that their mattress toppers provide and the reviews indicate that they get everything right with this one. It currently has a 4.1 out of 5 rating from around 1,300 reviews. Be aware that it is not ventilated in the same way as many of the other overlays on this list, so you may find you end up experiencing a very warm night’s sleep. With a name like Sleep Innovations, you would expect this topper to bring something new to the market that nothing else on this list can match. While that may not necessarily be the case, it can’t be denied that this is a high quality product that offers one of the best experiences available, especially for those buying on a budget. The topper is ventilated and is made using memory foam only. Furthermore, it is advertised as having an antimicrobial finish, which is intended to prevent allergens and mites from disrupting your sleep. The topper is 2 inches high and ideal for harder mattresses. Made using open cell technology to allow for superior levels of ventilation. Has an antimicrobial finish that is intended to make it safe for people who suffer from allergies. Improved levels of recovery allow it to last much longer. One of the most cost-effective options currently available. Many reviewers expressed surprised at the quality of the mattress topper, especially when taking the low price into account. It has received particular praise for how it is able to make even cheaply made beds and mattresses feel extremely comfortable, with uses ranging from army bunks through to college dorms. There is little in the way of negative feedback, but some reviewers have claimed that the topper carries an odor that is very difficult to get rid of. Others say that it has not been sized correctly though this is a fairly uncommon complaint. Boasting a rather excellent 4.6 out of 5 rating from more than 700 reviews, the critical reception for Sleep Innovations product has been exceptional. While it may not offer anything all that new to the world of mattress toppers, it does appear to offer a product that can compete with some of the largest brands, despite costing far less. If you’re looking for the best memory foam mattress topper you really need look no further than the product offered by Sleep Innovations. It offers a level of quality that goes far beyond the low price tag and it has received plenty of praise for that fact. However, it is understandable if you are wary about durability over the long term. As such, the Cloud9 and Best Price Mattresses offerings both offer long warranty periods while still receiving positive reviews for their quality.